In the last few months we have added a lot of R capability to Power BI, with advanced analytics visualizations with R, data cleansing with R, and ways to get data with R. Customers and partners have told us about some amazing use cases that leverage these capabilities and add unique value. In order to demonstrate these use cases, we have created the Power BI Community R Showcase. How different states in the US can be grouped according to net average income and life expectancy by using clustering algorithms. 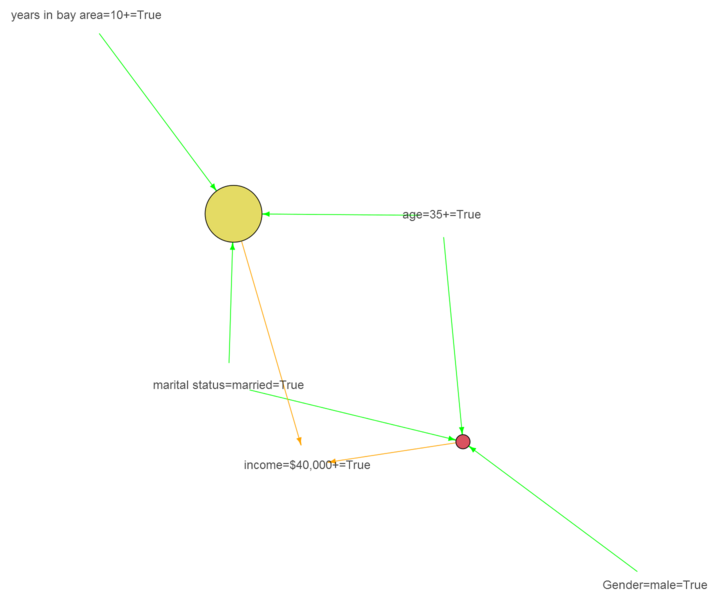 How to quickly find predictors for a person's income in the San Francisco Bay Area with association rules learning. We welcome you, the Power BI Community members, to visit the R Showcase and leave comments and kudos. More importantly, we encourage you to share your R in Power BI use cases, and every month we will highlight some particularly exemplary submissions. Once you’ve posted a new submission, tweet a link to it with the hashtags #powerbi #rinpbi. We’ll also select one featured story each month to receive a Power BI t-shirt and a special badge of recognition for your Community profile. Please note that all submissions to the R Showcase are public, and should not include confidential or private data. The R Showcase is open now! We can’t wait to see your inspiring use cases, and to share the Power BI Community’s hard work and talent with the world.